The Pearn family agricultural contracting business operated for over 80 years in the Westbury district. In the 1950s, the Pearns recognised the passing of the steam era and began collecting engines, tractors, equipment and memorabilia. 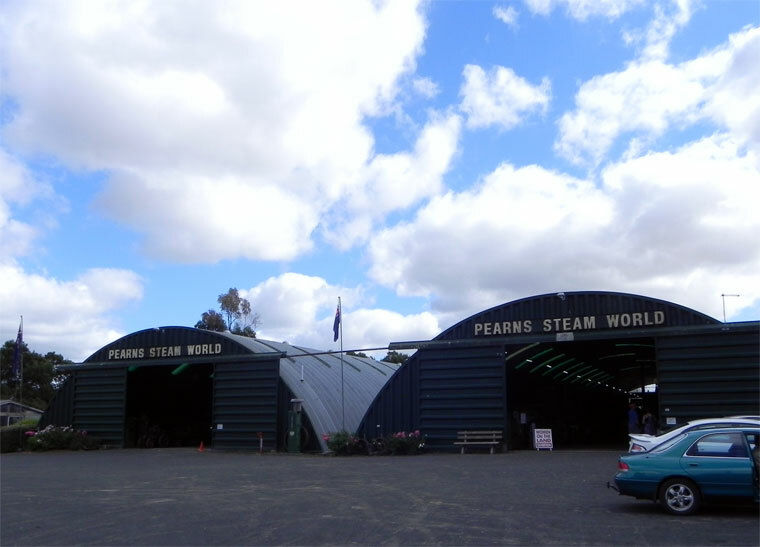 Pearn’s Steam World collection of over 200 major items receives high praise from worldwide visitors and is the best in the Southern hemisphere. Since its establishment in the 1980s, the museum has been run by volunteers and family members dedicated to the preservation and restoration of the collection. This page was last edited on 28 May 2014, at 08:57.